Sunao Dinner Knife - 8 in. Home / Sunao Dinner Knife - 8 in. A perfect blend of polished and matte, streamlined and elegant, modern and traditional, this stainless steel Japanese flatware is perfect for everyday use. 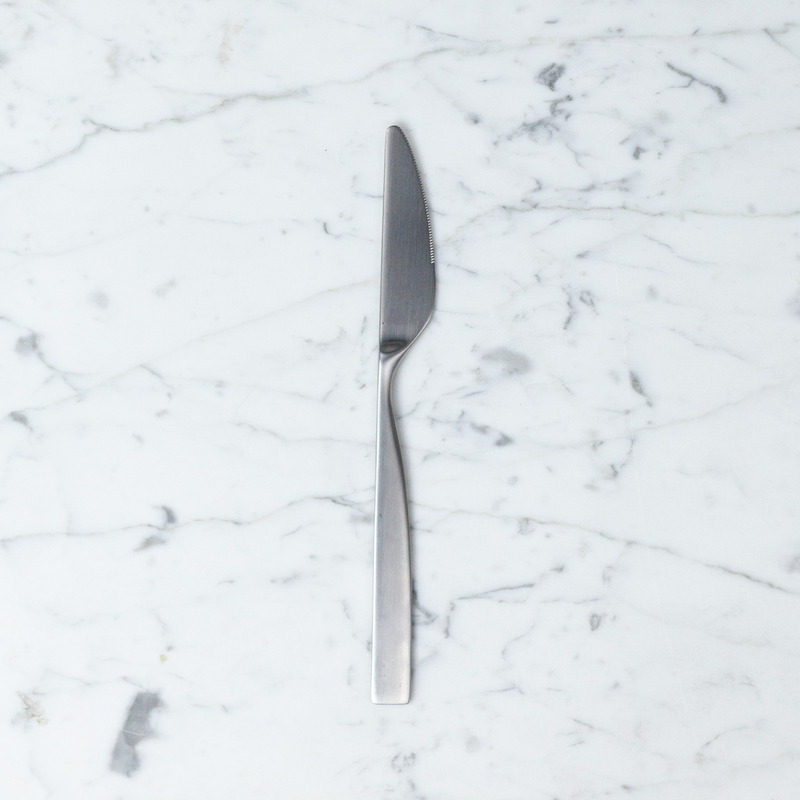 Designed by Graf Studio, this line's perfectly weighted, delicately tapered handles and satisfyingly smooth ends feel as good in your hand as they do in your mouth (a very important and not-often-mentioned attribute of flatware). They look equal parts sleek and classic on any table, no matter the style. 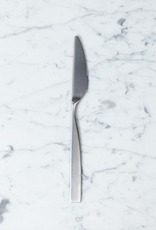 We love the the shape and delicate heft of this impeccably balanced knife. 8"
Available by the piece or get in touch and we can put together a custom placesetting for you.